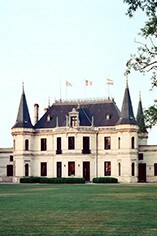 The Wine Advocate - Tasted at the Chteau Palmer vertical in London, the estate team regard the 2010 Chteau Palmer as their best since the 1983. This showing did nothing to suggest otherwise. It offers stunning precision on the nose: incredibly fresh and vibrant with the same spine-tingling level of mineralit as the 2005. What they both share is a Pauillac-like graphite seam that runs from start to finish. Like the 2005, there is a beguiling symmetry here, more focused and linear than the sumptuous 2009, yet with sensational length that makes you wonder what on Earth it will taste like in another 10-15 years. I would keep this in your cellar for another decade at least and it may well merit a higher score down the line. Tasted May 2015. Jancis - 54% Merlot, 40% Cabernet Sauvignon, 6% Petit Verdot. Very dark purple. Amazingly sweet and luscious on the nose. Incredibly sweet and distinctive – pure pleasure at first. Very round and luscious and has massive polish. Incredibly open at this stage – will it close up, I wonder? But underneath, a great stew of tannins lurk..! Great freshness but no leafiness. This is already carrying the Palmer hallmark in spades and its only on the finish that one sees the strong vintage character. Nothing excessive. Wine Spectator - This dense red offers a big core of currant, plum and cassis, with lots of buried violet and anise. Really loaded on the back end, this is very muscular, but still velvety. Features saturated fruit on the finish, but stays restrained. Should be very long-lived. Parker - The 2010 Palmer is one of the superstars of the vintage, a blend of 54% Merlot, 40% Cabernet Sauvignon and 6% Petit Verdot, which is just slightly different than what I indicated two years ago. The alcohol level hit 14.5%, and the wine comes across like a more stacked-and-packed version of their 2000. It is tannic and backward, but has a sensational black/purple color and a gorgeous nose of camphor, barbecue smoke, blackberry and cassis. Full-bodied, with oodles of glycerin but a relatively healthy pH, this wine has a precision and freshness that belie its lofty alcohol and extravagant concentration. This is a sensationally rich, full-throttle Palmer that could well end up being one of the all-time great wines made at this estate. It needs a good 7-10 years of cellaring and should keep for 50 or more years. 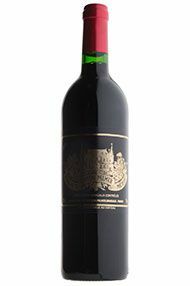 The 2010 Palmer, which is 50% Merlot and the rest mostly Cabernet Sauvignon except for 6% Petit Verdot, is a huge, inky/purple-colored wine with notes of camphor, incense, blackberry, espresso roast, and subtle barbecue smoke. Extremely full-bodied and unbelievably powerful (14.5% natural alcohol, but with a rather standard pH of 3.75), this wine is going to be one of the great classics ever to emerge from this iconic chateau. It is extremely tannic, but the tannins are eclipsed by the extravagant concentration of fruit, unctuosity, and density of this wine. This will be a Chateau Palmer to put away for 10 years and drink over the following 40+. Decanter - Superb richness and already showing a velvety texture, wonderful freshness and flavours that keep on growing, a magnificent Palmer wine for the 2010 vintage. moment. Sure to be in demand this year.